It may not have been a win, but Wall Street has something to celebrate today -- just like USA soccer. 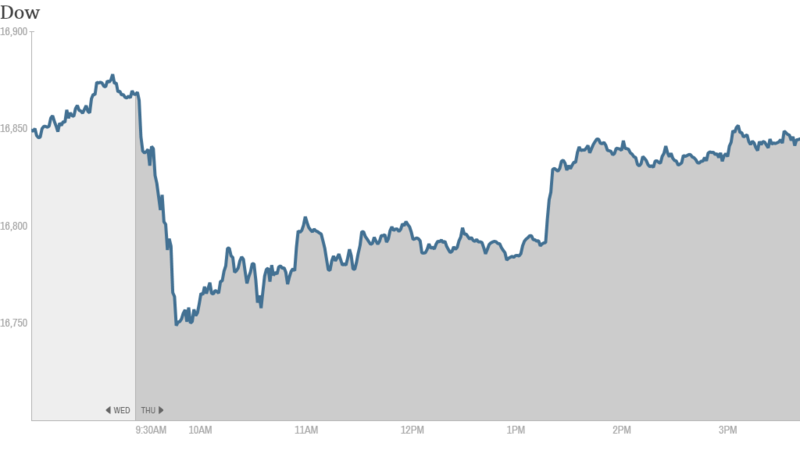 Stocks staged an afternoon comeback, erasing most of an earlier tumble that was fueled by worries about interest rates. 1. The numbers: The Dow Jones Industrial Average and S&P 500 ended the day slightly lower, while the Nasdaq finished flat. While the Dow ended the day 21 points in the red (0.13%), that's a major improvement considering the index dropped over 120 points in the morning. Trading volumes were lower at the U.S. stock exchanges during the big World Cup matchup. But trading often dips during the middle of the day, so it wasn't entirely out of the norm. 2. Fed fears: Stocks slumped earlier on concerns that the Federal Reserve will soon remove the easy-money punch bowl that's been juicing stock prices. James Bullard, the president of the St. Louis Fed, warned that financial markets may not appreciate how close the central bank is to achieving its goals. Bullard told FOX Business on Thursday that a rate hike could come during the first quarter of 2015. While the comments about a rate hike match Bullard's previous forecast, they appeared to take the market off guard because the Fed official is normally very dovish. One trader also made light of the fact that the selling occurred after FIFA announced a nine-game suspension of Uruguay's Luis Suarez for biting an Italian opponent. "Suarez suspension sends stocks reeling. $ES_F $YM_F $SPY," StockTwits user hap317 joked. While stocks landed in the red, the S&P 500 still posted its 49th consecutive day without a close of 1% higher or lower. That's the longest such streak since 1995. Related: Where's the drama on Wall Street? 3. Barclays under fire: Shares of Barclays (BCS) crumbled 6.5% after the New York Attorney General unleashed a lawsuit late Wednesday against the British bank alleging a lack of transparency in some of its alternative trading platforms. The attorney general claims the bank misled investors -- even going as far as lying in marketing materials -- about how much high-frequency trading firms were operating in Barclays' "dark pool" trading platform. "First it was gold, now it is HFT - poor $BCS just can't get away with any market rigging crime these days," StockTwits user flounder quipped. 4. GoPro goes public with a bang: Camera maker GoPro (GPRO) has already shown it can withstand drops from space and close encounters with sharks. Now we'll see how the gadget company grapples with life on Wall Street. So far, so good. GoPro closed more than 30% above its initial public offering price of $24. The consumer electronics company, which is trading on the Nasdaq under the ticker symbol "GPRO," raised about $425 million in the offering. At its current price, the company is worth nearly $4 billion. 5. 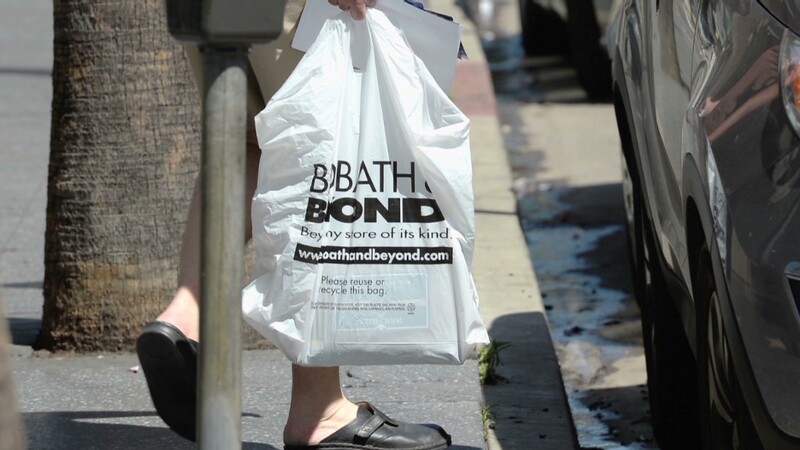 Movers & shakers - Alcoa, Bed Bath & Beyond, Philip Morris: It's an ugly day for Bed Bath & Beyond (BBBY). The home goods retailer tumbled over 7.2% after earnings came in lower than expected, and the retailer doesn't forecast it will get much better the rest of the year. Philip Morris International (PM) was also stuck in reverse, losing almost 3%, after the cigarette maker dimmed its forecast for the year due to currency troubles and economic challenges in Europe. On the other hand, Alcoa (AA) bounced 2.7% after unveiling a $2.85 billion cash-and-stock deal to acquire Firth Rixson, which makes jet-engine parts. The move should help Alcoa diversify amid anemic aluminum prices. Nabors Industries (NBR) soared 6.2% after inking a $2.86 billion deal to combine one of its units with C&J Energy Services. Both companies are key players in getting oil and natural gas wells ready to go. Yahoo (YHOO) enjoyed an afternoon rally and closed 1.2% higher after Alibaba revealed plans to list its huge initial public offering on the New York Stock Exchange. Yahoo stands to profit from the IPO because it owns a 22.6% stake in the Chinese e-commerce giant. Nike (NKE) stock is up after the closing bell after the company's earnings flew above Wall Street's expectations. 6. International markets looking chipper: European markets mostly retreated, while Asian markets largely ended with gains. The Hang Seng in Hong Kong was a standout performer -- rising by 1.4% during the day. Gold prices slid 0.4%. Prices for the shiny metal tend to rise when investors are feeling nervous, and tend to fall when investors are feeling confident. Oil prices also dropped about 1%.